Vietnam is seeing more and more visitors each year, with the actual number of tourists per year reaching to well over 12 million. Some areas in Vietnam, such as Halong Bay, Sapa, and Hoi An, are very beautiful and are part of Vietnam itineraries but also packed with tourists year round. Fortunately, if you want to get away from the crowds, you have several tour alternatives. Here are some of the best suggestions you might consider adding to your Vietnam off the beaten track itinerary. 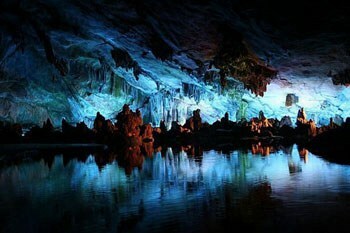 A few years ago, the largest caves in the world were discovered in central Vietnam. These caves are a complete marvel, in pristine condition and also thought to contain the largest stalagmites in the world, up to 70 metres tall! Currently, only a limited number of expeditions per year are allowed and come at the very hefty price of $3000 per person. If this is out of your price range, fear not! In the same area, you can visit the Phong Nha Ke Bang National Park, wherein lies two famous caves – Phong Nha cave and Paradise cave. Up until the discovery of Son Doong cave, Phong Nha cave was thought to be the largest in Vietnam. To put it into perspective, Son Doong is more than five times the size of Phong Nha cave! Nevertheless, the smaller caves are beautiful and unique in their own way. The entire area is also very serene and peaceful, with many small lakes in the area and quaint lodging options. How to get there: From Dong Hoi train station or airport, arrange a pick up with your hotel or hostel in Phong Nha. The drive is a little over an hour. Otherwise, it is a 4-hour drive from Hue. One of the unique places in Vietnam is Buon Ma Thuot, it is in the central highlands of Vietnam. This area is most famous for generating a majority of Vietnam’s coffee for export and is often dubbed Vietnam’s “capital of coffee”. Besides the coffee plantations, Buon Ma Thuot is also situated next to a large and beautiful lake which is still shallow enough in some areas to be able to cross on elephants! This activity is a major draw for tourists, but still not enough to make this area touristy. 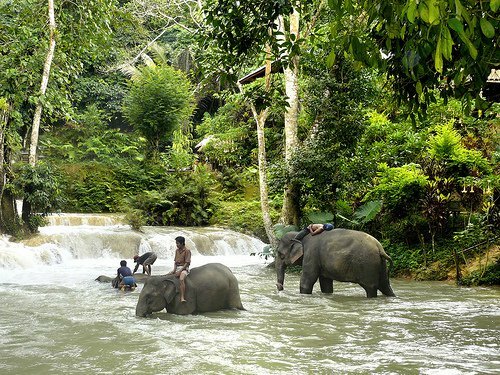 This is one of the few places in Vietnam where you can actually ride elephants, and it is much more ‘rustic’ of an activity than the organized elephant tours in Thailand and other neighbouring countries. How to get there: You can visit Buon Ma Thuot by road from DaLat or Nha Trang. Or, you can sign up for a motorbike tour through EasyRiders where they have itineraries that take you to Buon Ma Thuot. 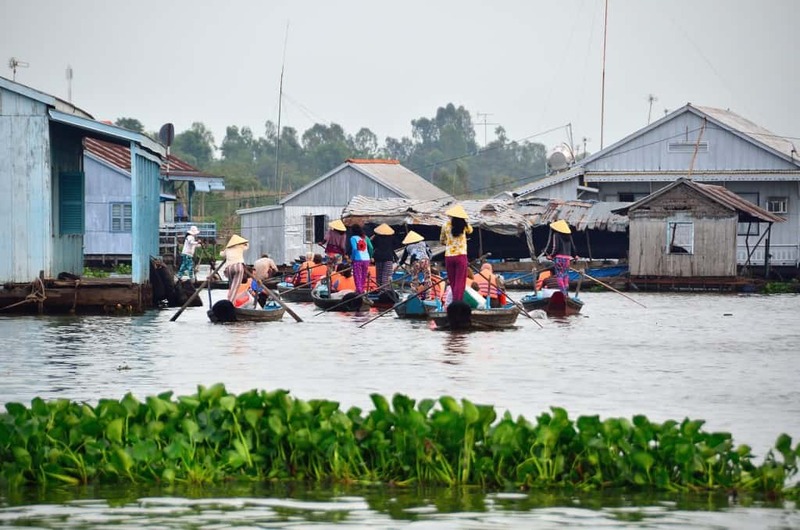 Chau Doc is a small city in the Mekong Delta close to the Vietnam-Cambodia border. Due to its proximity to the border, the people of this region are either Cham, Cambodian, or Vietnamese in ethnicity, and they all live together in harmony. The Cham people who live in Chau Doc are descendants of the Muslim Cham people who were displaced from Central and South Vietnam during the war in the 18th century. This unique mix of cultures and religions gives this town a different kind of vibe. The main draw to this town, besides the slower paced life, is the religious architecture. A few kilometers outside of Chau Doc is Mount Sam, where they have many temples and pagodas, and around the area, you will find many mosques as well. Chau Doc has a very close trading relationship with Cambodia so this border crossing is very convenient if you want to continue your journey westward. An interesting way to get to Phnom Penh from Chau Doc is to take a boat along the river. How to get there: By road from Ho Chi Minh City is the easiest route to Chau Doc, and the drive takes 4 to 6 hours. With towns like Sapa becoming more and more touristy by the minute, Mu Cang Chai or Mai Chau are great alternatives. 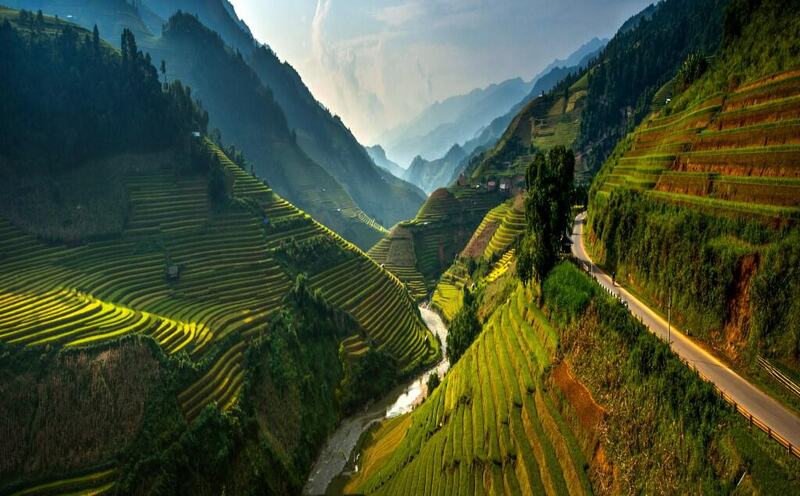 Mu Cang Chai is a small town of 43,000 people in northwestern Vietnam is one of the most naturally beautiful places in the country, and Mai Chau is also very similar. Many people have a romanticized view of rice terraces and open mountainous areas with farmers donning conical hats, and this is the place to see it! Not only is it quiet and tranquil, the scenery is spectacular. There are as many as 20 different ethnic groups, and in some areas, the Viet people are not the majority. These different people live harmoniously with one another and live a very peaceful and self-sustaining lifestyle. There is very little interference from modern culture and they adhere to their beliefs very strongly. That being said, they are incredibly friendly and open with tourists. You will find that they are also less aggressive than their counterparts near Sapa because these smaller towns have not been inundated with tourists in the way that Sapa has. How to get there: The easiest way to get to Mu Cang Chai or Mai Chau is by road from Dien Bien Phu or from Hanoi. It is a long drive but so worth it. Even though it’s a long drive, the journey is much shorter to get there in comparison to the journey time to Sapa. Hue has played a very important role in Vietnam’s history throughout the centuries, not just recent history. This area was the capital of the Nguyen Dynasty almost 150 years just before the emperor abdicated to governmental pressures. The DMZ between North and South Vietnam is also located very close to Hue. During the war between North and South Vietnam, soldiers have built many tunnels near the DMZ. Those are very similar to Cu Chi Tunnels near Ho Chi Minh City. 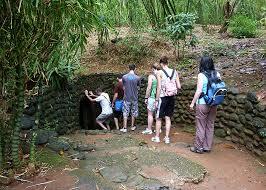 Cu Chi Tunnels are very touristy, so visiting these tunnels near Hue is a great alternative. There are many more historical sites and museums to visit in Hue. There are fewer tourists visit there than other cities in the region, like Danang and Hoi An. If you can get past the notoriously bad weather, visiting Hue can be both an enjoyable and educational experience. How to get there: Hue is very accessible by road, plane or train since it is on the coast. In order to visit the DMZ or the tunnels in the area, you will need to set up a tour or find a xe om. Dien Bien Phu is the city that has been an important aspect of Vietnamese nationalistic pride. During the French Indochina War, Dien Bien Phu was the site of the ultimate battle between the Viet Minh and the French Union . The battle led to the termination of French rule in Vietnam. In fact, this battle is so famous that it has been depicted in paintings and caricatures. It also has even been featured in a movie of the same name. As a side note, the commander who led the Viet Minh into battle and secured this victory, General Vo Nguyen Giap. He has recently passed away and his death weighed heavily on the hearts of Vietnamese throughout the country. He played a very important part in giving Vietnam its independence. Interestingly, Dien Bien Phu was also once famous for being one of the strongest fertile areas in Vietnam at that time. The area was known for exporting rice mainly but also being at the center of opium export. 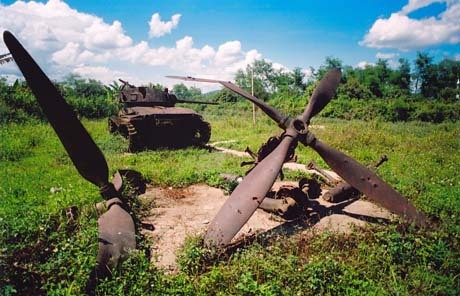 You can experience some of this history first hand by visiting the bomb crater sites and museums in Dien Bien Phu. The surrounding area of this city is also breathtaking, with the hills and the greenery all around. How to get there: Dien Bien Phu is very close to the fringes of Vietnam and although it is accessible by road, it could be a long trip. Fortunately, there is an airport there and you can fly in from many major cities in Vietnam and Laos. With beaches in Vietnam becoming more and more popular in Southeast Asia, it can be difficult finding some quiet beach time. During high tourist season, many of the beaches in Vietnam are riddled with tourists and locals. Although this makes for a very lively atmosphere, it is most definitely not tranquil. Quy Nhon is the perfect alternative to busy beach areas like Nha Trang and Hoi An. The beach is relatively untouched, there are very few peddlers, and it is not very commercialized yet. There are very few resorts and hotels there and fishing is a major industry in Quy Nhon. This city doesn’t have the kind of nightlife that Nha Trang does, but you feel like you are much more connected to the local culture. How to get there: Quy Nhon is actually quite accessible by train or road. Quy Nhon locates perfectly between Nha Trang and Hoi An. You can stop over in Quy Nhon to break up the journey! 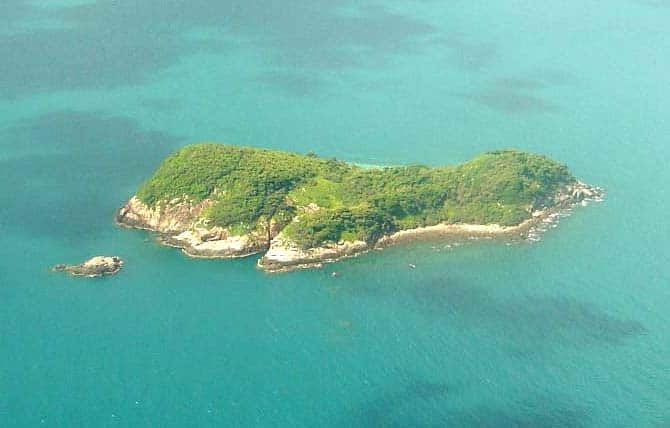 Con Dao Island, an archipelago off the southern coast of Vietnam, is actually an old prison island. The Con Dao Prison is a historical site and held many political prisoners during the French colonization. 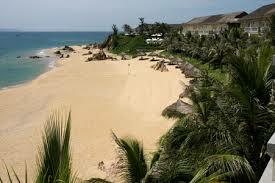 Today, it is a highly sought after beach destination in Vietnam. It is one of the few places in Vietnam where you have really white sand and turquoise waters! These islands are very seldom visited by tourists because it is both remote and expensive. Some of the resorts on the island are very expensive. However, there are a few places to stay that are easier on the wallet. Nevertheless, The Island is very untouched and considerably more ‘off the beaten track’ in comparison to other beach areas in Vietnam. How to get there: The only reasonable way to get to Con Dao is by plane. The short flight from Ho Chi Minh City adds to the appeal of Con Dao. There are only a few flights a week and operate under a smaller carrier affiliate of Vietnam Airlines. If you like off-the-beaten-track experiences, join us on our Saigon By Night Tour, where we take you to parts of the city that are less frequently visited by tourists. For more Vietnam Travel Tips, check back on our blog often! Brinda Shah is the resident blog writer for XO Tours. She has lived in Ho Chi Minh City since November 2012 and has had the opportunity to thoroughly explore the country from North to South. You can find her frequently blogging about travel tips for Ho Chi Minh City on the XO Vietnam Tours Blog or learn more about her on Google+. Great article! I’ll be spending 10 days in either Vietnam or Vietnam/Cambodia, and I’m struggling to construct an itinerary. What would you suggest in terms of how to carve up my time in Vietnam? If I skipped Cambodia, would you suggest 5 days in the North and 5 days in the South?